I declined to donate my daughter’s organs before her death. But I can’t help imagining saying yes to an act powerful enough to save another mother’s child. I read this article and found it very interesting, thought it might be something for you. The article is called My Complex Organ Donation Decision and is located at http://modernloss.com/my-complex-organ-donation-decision/. A scant 49 days before my youngest daughter died of heart failure in 2015, an organ donor saved her life. After a more than ten hour process that included harvesting a donor heart and successfully transplanting it into my daughter’s gaping chest cavity—I posted this to her Go Fund Me page: In the wee hours of the morning, borne of another family’s unfathomable tragedy, our little Cora received the most precious and priceless of gifts; her new heart is beating in her tiny chest, and we are overcome with gratitude and hope. This invaluable gift left me with high hopes that—if ever faced with the same devastating circumstances— I’d behave in a similarly valiant fashion. Experience now points to the fact that I would not. 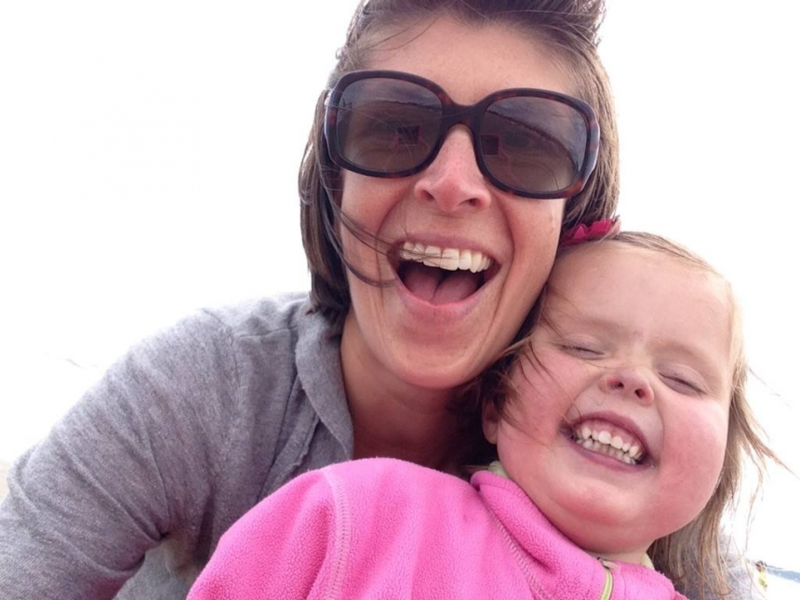 Seven weeks after Cora’s successful heart transplant, she began slipping away. When it became clear she was deep in the throes of antibody mediated rejection—an immune response triggered by the new heart being detected by the body as foreign—she was placed on life support to preserve what cardiac function remained. As the days turned into weeks, the conversation shifted from “if Cora dies” to “when Cora dies.” We then tackled the excruciating task of choosing when that would be. I sat in the CICU at Boston Children’s Hospital, listening to the undulation of the respirator that took quick, measured breaths for Cora; the opaque, plastic bag connected to her Foley catheter was full of blood—a clear indication that her kidneys were now shutting down. I struggled to imagine what organs remained in Cora’s swollen, distended body that could be of use to anyone. When I was faced with the opportunity to donate her organs, I declined. In all reality, I was scared and selfish: I hadn’t held Cora for more than two weeks, and I wanted the circumstances surrounding her death to be in my control as so much of her life had been out of it. After the nearly six year journey my daughter and I traversed during her short life—the last 17 of which she was rendered immobilized as an enormous ECMO machine did the work of Cora’s heart and lungs—I could not bear the thought of Cora dying anywhere but in my arms. It was a dilemma of colossal proportions: if I were to donate her organs, I would miss the chance to hold Cora one last time. To be with her when she died. She would be wheeled into the operating room, for one final surgery. And I would be robbed of the ending I had imagined. It would also force me into the very same shoes another mother had stumbled upon, just weeks prior, when her selfless decision allowed my daughter a second lease on life. It was more than I could possibly fathom. In short, any of Cora’s physical body that could have been put to good use—possibly saving another child’s life—was wasted so that I could make sense of the chaos that was being unleashed. Any of Cora’s physical body that could have been put to good use—possibly saving another child’s life—was wasted so that I could make sense of the chaos that was being unleashed. Does the decision I made preclude me from advocating for organ donation? Or, at the very least, does my support for a practice I did not choose to take part in make me a hypocrite? The topic of organ donation is as complex as it is profound. 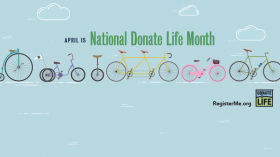 In contemporary circles, April is widely gaining recognition as National Donate Life Month, established as a means of raising awareness about organ, eye and tissue donation. As a result of my journey with Cora, I am a registered organ donor—a designation announced by the small read heart icon in the lower corner of my drivers’ license. But that is not enough. Truth be told, end of life decisions are ultimately made by the living. 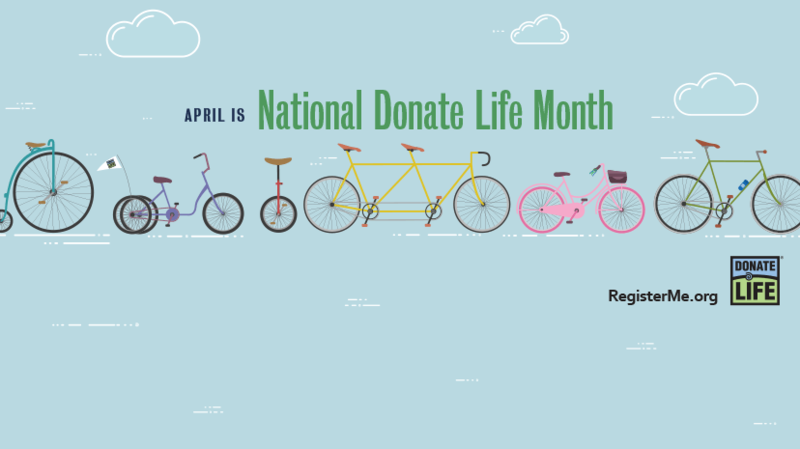 While I have since become a staunch advocate for organ donation—which, I hope, does not make me a hypocrite—I am compelled to shed light on the complexity of the process that extends far beyond icons on driver’s licenses and the wishes of those who were once living. Waiting for Cora’s new heart was an event our family anticipated, with proverbially bated breath, for more than 18 months—and every single moment was excruciatingly bittersweet. As we watched Cora fail, despite five open-heart surgeries aimed at palliating the congenital heart defect with which she was born, we knew her chance at a second lease on life would only come at a steep price: the death of another child. Despite the myriad preparations I had thought to make, the events of that summer night linger in my mind’s eye as largely surreal. I remember being in the shower when the call came; I remember my then husband pulling the shower curtain open just a crack and uttering the words that changed my life. “We got a heart,” he said. I remember calling my parents, and not being able to find them; I remember having to resort, within minutes, to Plan B; I remember my two older daughters making heart symbols with their hands as they posed in the driveway for what turned out to be our last photo as a family of five; I remember scooping Cora up— clad in a pair of striped terry cloth pants and a mismatched top, long-sleeved and punctuated with tiny white hearts— and making our way to Boston with surprisingly little pomp or circumstance; I remember contacting the state police for directions on what to do if we got stuck in traffic; and then I don’t remember much at all. “April is the cruellest month,” pined T.S. Eliot in his epic poem, “The Waste Land.” For me, April is nothing short of bittersweet, a fitting designation considering the nature of organ donation. The arrival of April conjures in me real feelings about the journey I have walked, one which, in large part, involves moving forward without regret. When it became clear Cora wouldn’t survive, following complications from her transplant, it hardly dawned on me that I’d be asked to donate her organs. The request, as it turns out, can only be made after a family has made the decision to remove the patient from life support. By that point, I was emotionally exhausted. After making what felt like the most daunting decision ever, I didn’t want to make another. So, as I’ve already divulged, I declined. It is not a decision I regret, but the topic has caused me to grow in the ensuing four years–so much so were I to face the conundrum again, I’d inevitably choose to be a donor. Did you know one organ donor can save up to eight lives? This is a fact I occasionally revisit as time elapses and my perspective shifts. I passed at the chance to make a massive difference in someone else’s life; that said, my surviving the death of my youngest daughter has required me to remain forward looking lest I lose sight—both figuratively and literally—of the significance this crossroads presented. I often wonder, what would it be like—to know I made a decision powerful enough to save another mother’s child? To give the ultimate gift? Those are questions I am unable to answer at present. But I offer my experience as a beacon for anyone who might find themselves on a similar path. Today, more than 2,000 pediatric patients on the national transplant list are awaiting organ donation; their families, living in limbo, are just waiting for the phone to ring. Today, more than 2,000 pediatric patients on the national transplant list are awaiting organ donation; their families, living in limbo, are just waiting for the phone to ring. We got our call, on an ordinary summer evening, after a day spent splashing in the waters of York Lake. At that time I had great plans for the future. For Cora’s future. Despite embarking on a physical journey from which Cora did not return, her short time on this earth was not in vain. Her story, my story, has been but a proverbial pebble cast into the pond—one whose reverberating ripples have reached many. 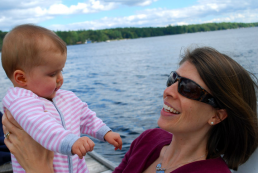 Parenting Cora through the process of organ transplant catapulted me on a journey that points to transparency and dialogue as being wholly necessary for moving through excruciating circumstances. And when it comes to navigating difficult decisions—particularly those hinging on life and death—there is no room for regret. Hannah Van Sickle is a freelance writer who lives and works in the Berkshire Hills of western Massachusetts where she is raising her two daughters. Her work has appeared at Refinery29, SheKnows, and AMC Outdoors Magazine among other local and regional publications.